Bees have to make a hive for them to live in. 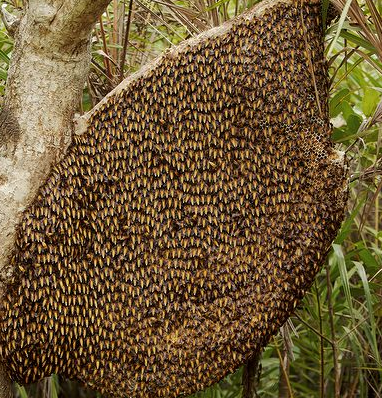 Bees can make their hive in a branch, a box or a hollow tree. Bees have to work together to make hives. The queen bee leads the worker bees to the place where they make their hive. 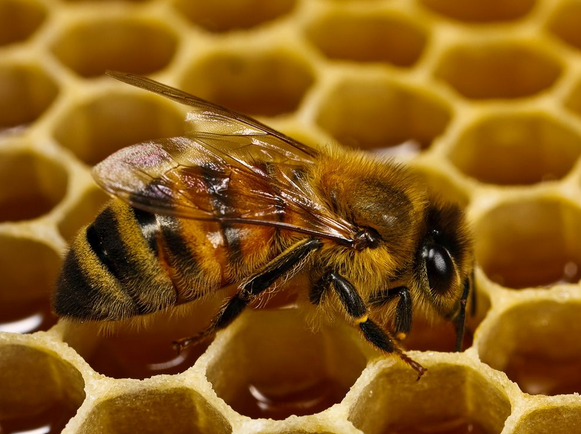 Bees make hives out of cells. The cells are made out of wax. They are hexagons. There are lots of cells in each hive. They are called a honeycomb. The queen bee is bigger than the other bees. There is one queen bee in each hive. The queen bee lays the eggs in the cells. The worker bees keep the eggs safe.